Henry and I were out touring the garden last evening. I love visiting the lavender and catmint–they are full of bees all summer. 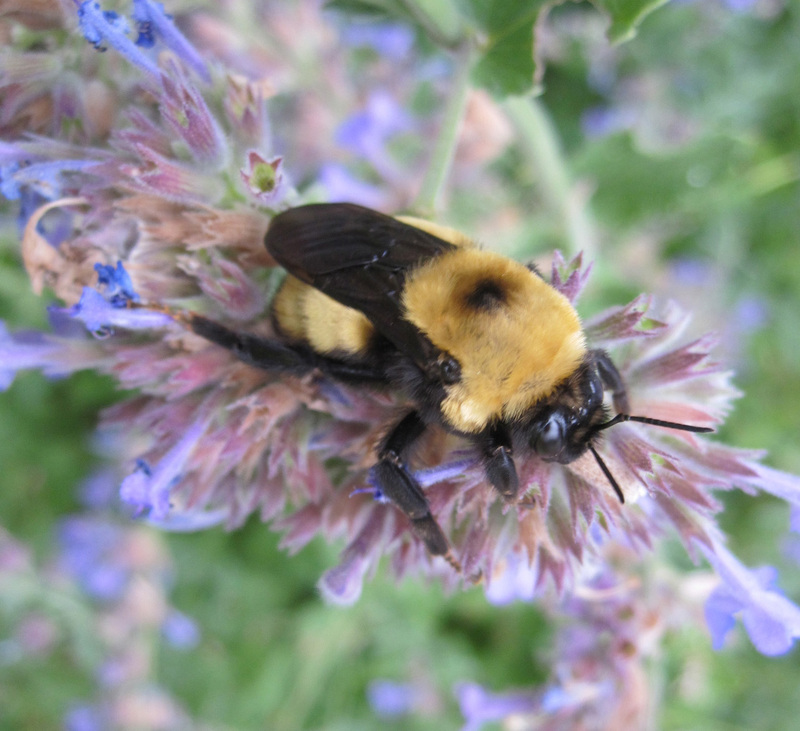 I stopped to look at the biggest bumblebee I have ever seen while Henry contemplatively chewed on the catmint. This bee was an inch long, easily dwarfing the other bumblebees. They were all very intent on their probing of the flowers for nectar. I admired the velvety abdomen and big eyes. Notice how dark the wings are. I reached to steady the plant with my hand so I could photograph it, which caused the bee to vibrate its wings. The humming was loud and deep.